Work with our team to build a full picture of how to migrate to Azure. This includes a high level summary with proposed timelines, expected monthly running cost and migration costs. Start with our free roadmap planning meeting to get started. Planning and building the blue print for your Azure environment is critical or you can end up with escalating running costs or poorly performing infrastructure. Walking through your existing environment or newly required infrastructure our Azure Consultants help build and plan the most effective cloud deployment. Following our roadmap and planning workshops Valto can assist with implementation by getting our team of experts to assist you with the migration and handover the environment to any of your organisations workforce or we can provide a fully managed service going forward. Microsoft Azure Migration Services from Valto are designed to help your business move your data and applications seamlessly to the cloud. We provide an end-to-end service that gives you access to class leading consultancy to ensure that your platform is able to meet your needs in terms of flexibility, resilience and security. We offer you support and advice through the whole process of virtualisation. From an initial workshop to identify your key needs through an architecture and solution definition roadmap and implementation. We also provide you with an ongoing support service to ensure that your environment is robust and efficient. The first phase in our programme is a comprehensive planning workshop run by our qualified consultants. We’ll work with your internal stakeholders to determine the scope of your migration needs, including what applications you want to virtualise and your data and user requirements. The outcome of our initial workshop, is a roadmap that outlines the machines and services that you will require to achieve your goals. The roadmap is fully costed and takes into account the areas where you require future flexibility. Our solutions architects will provide you with all of the support you need to implement the agreed plan. This includes provisioning and controlling the required virtual machines and configuring additional services such as Operations Management Suite, SharePoint or SQL to mirror your current needs. The benefit to your IT Strategy of this approach, is that it gets you up and running with an environment that is tailored specifically to your needs and scalable to future changes in your organisation. Once your environment has been fully configured, we’ll deploy applications and migrate data across. This can include additional services such as identity management for Single Sign-On to add convenience and extra security to your solution. Our team will be on hand throughout the process to support and advise, and ensure that your move to the cloud goes smoothly. Valto provide an end-to-end service to our clients from initial planning to ongoing service management, to ensure that cost savings are implemented and that the solution meets your changing needs. Contact us today on 03335 779 009 to find out more about how we can help you. 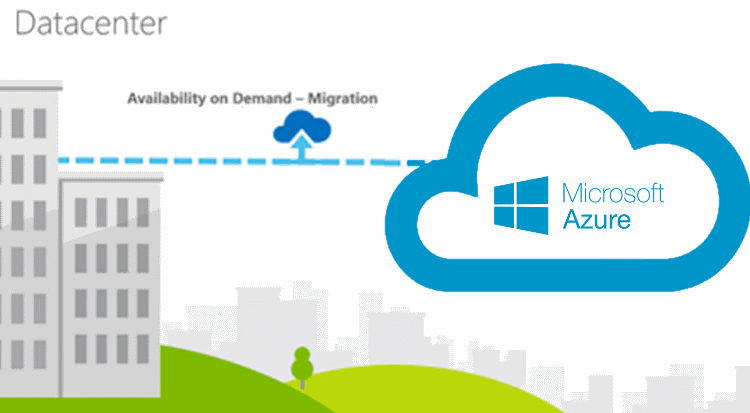 Find out how Valto can help you with Microsoft Azure Migration. Call now on 03335 779 009. Microsoft Azure provides your organisation with a flexible, enterprise quality cloud platform that brings total scalability and reliability that’s on par with Tier 4 data centres. You benefit from multiple back ups, full resilience, meet compliancy with data security and governance legislation and 99.9% up-time SLA. This means that you get a service you can trust and the ability to scale as needed. Moving to the cloud can be challenging and requires a specific set of skills that are not always present in your internal team. That is where Valto can help. We offer an end-to-end process that covers all Microsoft Azure migration services from initial planning through to ongoing support that gets you up and running faster. Working with Valto means that you get access to a fully skilled and qualified team. We work in line with Microsoft’s best practices and have the experience to be able to deploy your required configuration in a manner that causes minimal interruption to your business while also being optimised to run in a cost effective manner. We take a consultative approach to planning your cloud migration. Initial workshops take place with key stakeholders within your organisation to map out exactly what you require, including the applications and volume of data that you need to host. We also discuss your plans for growth to ensure that the solution we propose can be adapted as your business needs evolve. Following on from our workshops, we deliver a fully costed road map for your migration to the cloud including our proposed architecture for your new platform. This is designed to be ready for implementation, and also includes consideration for your changing needs. We provide minimum and maximum required specifications for the Azure Virtual Machines that will form your infrastructure, which allows future optimisation based on your actual demand. Following on from the approval of the roadmap, our Microsoft Azure Migration Services team will take over and implement the transfer of data. We’ll fully provision your environment, based on the specification our technical team have created, and then provide the service of transferring your data and applications into the cloud. We take into account best practices for security and maintenance to ensure that your ongoing support can be implemented in a flexible way and that the platform that you need can be transitioned in the future as you grow. To find out more about our approach to providing Microsoft Azure Migration Services to businesses and public sector organisations, please contact a member of our team today on 03335 779 009 and we will be happy to help you start the process.